The other week I was lucky enough to attend the NAIDEX (http://www.naidex.co.uk/speaker/david-miller/) show at the NEC where I was a speaker talking about dating and disability. While I was there I met up with the Wheelchair dance association crowd who were doing some amazing demonstrations of wheelchair dancing. I was absolutely determined to have them on our podcast. So, we have an excellent interview with their 'main man' Patrick McGeough who runs the WDSA (http://wdsauk.co.uk/) and spends his life promoting wheelchair dance for all members of the disabled community. Patrick, is in a wheelchair himself, having suffered a stroke in his teens. We find out how wheelchair dance works at an international competitive level and how wheelchairs can be modified to improve the 'twirls' on the dance floor. Contact them on Twitter at @wdsauk or email info@wdsa.co.uk Another wonderful discovery at NAIDEX was the ebullient Dom Smith who helps run 'Disabled Entrpreneurs (http://www.disabledentrepreneurs.co.uk)' and is a highly successful music journalist and the creative force behind the soundsphere (http://spheremag.co.uk/) online music magazine. Dom has spent the last 7 or so years actively helping young disabled persons get a statt in the music and media business using his own life experiences and his amazing industry contacts. The Independent on Sunday' dubbed him as one of the hundred happiest people in the country' and having chatted to him I would not disagree - he is a force of nature. 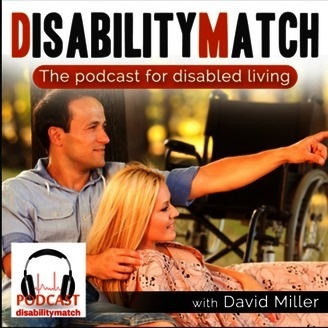 If you are interested in getting hold of Dom he is contactable on social media @Soundsphere @disabledents @d0m_Sm1th and the web address is http://www.disabledentrepreneurs.co.uk (http://www.disabledentrepreneurs.co.uk) Our podcast is growing very quickly now and we have a wonderful batch of guests lined up for our next episode in May. 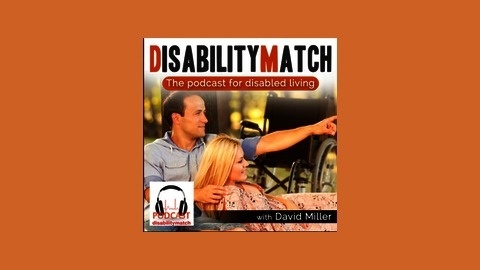 Please give us feeback david@podcast.disabilitymatch.co.uk and please share us on your social media. Mental health, Multiple Sclerosis and Workplace Disability Training. Disabled Living - Meet 'Wheelchair Steve' and Learn About Winter Sunshine Trips.